In a flashback, the tsunami Whitebeard created rushes toward Luffy’s Marine ship. They attempt to ride the wave, but get stuck on the top when Aokiji freezes it. After hearing a report that Ace’s execution wil happen early, they attempt to break free, but fall into the hole Jozu created. Luffy checks to see that Ace is still alive, then stops Crocodile from attacking Whitebeard. 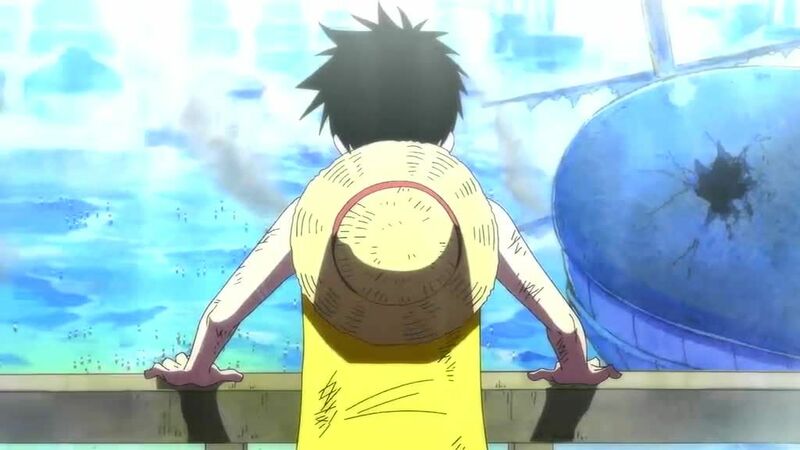 Whitebeard notices that Luffy has Shanks’ hat, and Luffy, undaunted by Whitebeard’s power or reputation, tells him that he will rescue Ace and become King of the Pirates. 5 / 5 - 65 ratings.